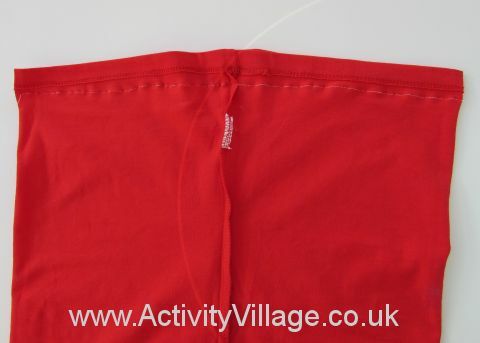 Fold the top in half so the straps match up and the seams run down the centre. 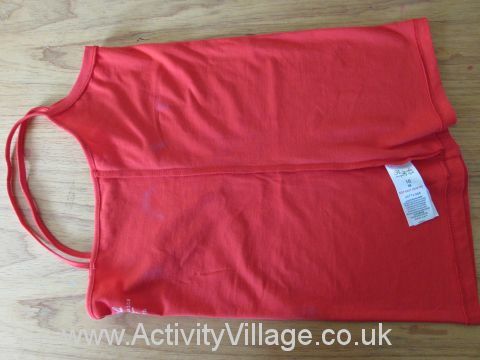 Slip a piece of plastic in between the layers of the top to prevent the bleach soaking through. We used a carrier bag. 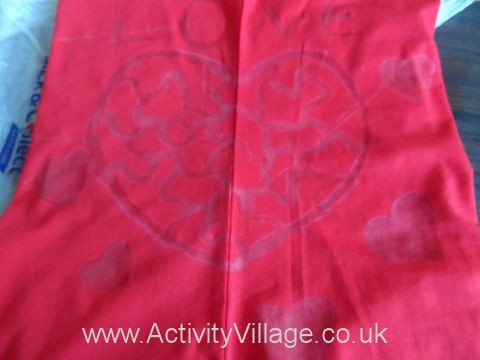 Carefully paint a heart pattern onto the fabric. We painted a second layer of bleach over the first lines. 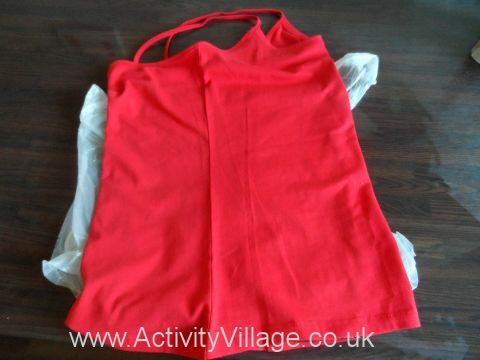 Turn the vest inside out and again carefully line up the straps and the seams in the middle. 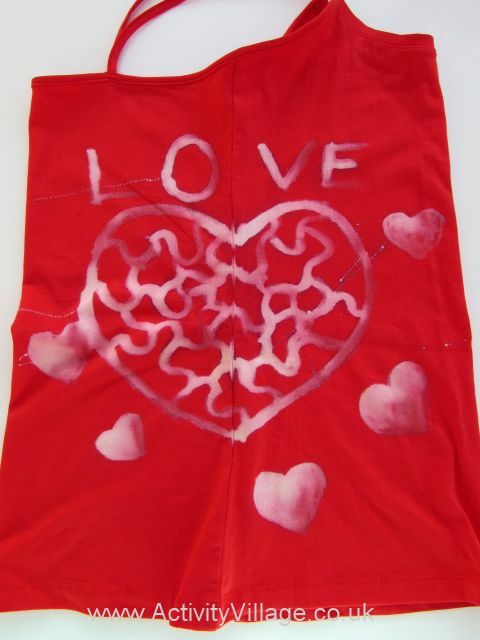 Sew a straight line across the bottom. Turn the right way out. The straps of the vest now form the handles of your bag. 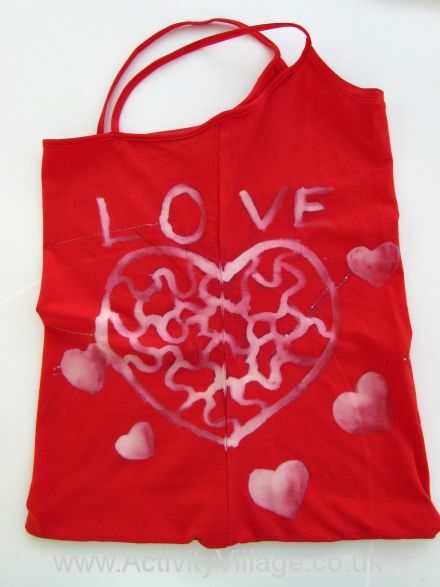 The needle case in the photo has been created for Valentine's Day, but you could obviously adapt this craft for other times of the year.